That’s why it’s great to have a dependable locksmith in the Lehigh Valley to help you during your time of distress. We are LockTech24/7, a local 24 hour emergency locksmith in Bethlehem, Allentown, and Easton PA. However, ou can rest assure we can replace your lost or broken car key. We provide Mobile Car Key Services for your convenience, anywhere in the Lehigh Valley. In addition, we also provide mobile ignition switch repair or replace service. It’s equally important to remember we can help to repair ignition lock of Chrisler, Honda, or GM cars. Have you broken your car key? You shouldn’t worry! As a matter of fact, we have your car keys! Having a broken auto key scenario can be very stressful. You may not feel guilty because it isn’t your fault. A tiny crack on the key’s shank is enough to turn your day upside down. If you’re in the middle of a broken car key crisis, don’t hesitate to call us for help. Have you lost your car keys? So we have a great tip for you if you have roadside assistance on your car insurance policy. Your car insurance company will reimburse your money. Yes, it calls “Roadside Assistance, and it includes car lockout service, ignition cylinder repair, and car key replacement on-site. We glad to announce that we can help you whenever you need a mobile car key service. Our wide mobile car key service can definitely get you back on your day, in no time. Don’t hesitate to call us when you need a mobile car key service, we’ll be happy to assist you. In a case and you need to reprogram your old car key, please call us for more information. 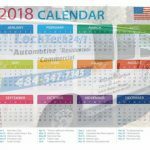 As long as your car’s computer or immobilizer are working fine, we’re able to help. Do you have a hard time to turn your ignition switch to ON or OFF position? Is your car key worn out? In regards to auto ignition issue, we need to evaluate if the problem is caused by the key or the ignition itself. Car ignition cylinder can get stuck for various reasons. In any case of an automotive ignition lock problem, please call us to repair or replace your car ignition lock. It needless to say that our professional auto locksmith specialists are ready for your call, 24 hours a day, 7 days a week. Today, many new car owners need a proximity key fob to start the car. It doesn’t matter if you have a sports car, family car, or a minivan. The automotive keys industry is develope itself on a daily basis. This is the reason why you need a professional car key center to start your car. 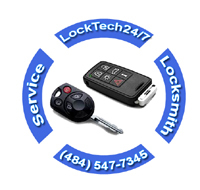 In like manner, a mobile car key services at LockTech24/7 can program a new key fob to your vehicle. We are ready to replace your lost key fob. 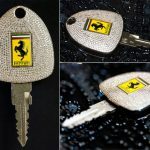 Mobile Car Key Services is here for you. Please call us now!